After a week, the bees are still there, but they appear to have created a couple of swarming cells which is not a good sign. Not entirely sure we still have a queen present, but we have a good smattering of capped drone and brood cells. They drank all the sugar water we installed in the hive with them last week. Over the last week, the have started building out two new, empty frames we installed in the brood box with them with a waxy comb. On Friday, we added another brood box refilled their sugar water container. I’m told that this may have made them too cold, but the swarm cells possibly contain a new, growing queen, so an extra brood box may stop them all from leaving for a bigger home. Time will tell. 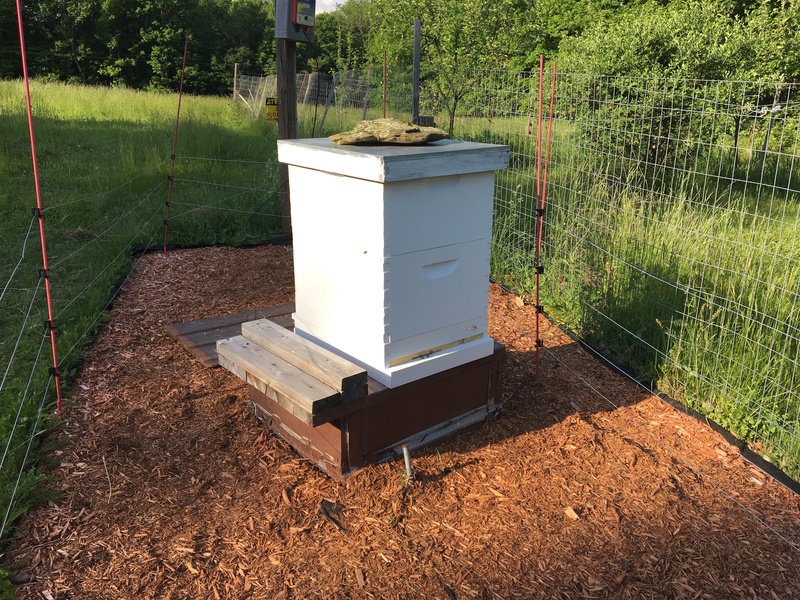 This entry was posted in Farming and tagged Bees in the Catskills, Catskills, Honeybees, Upstate Farming, Upstate New York on June 10, 2018 by JNUrbanski.